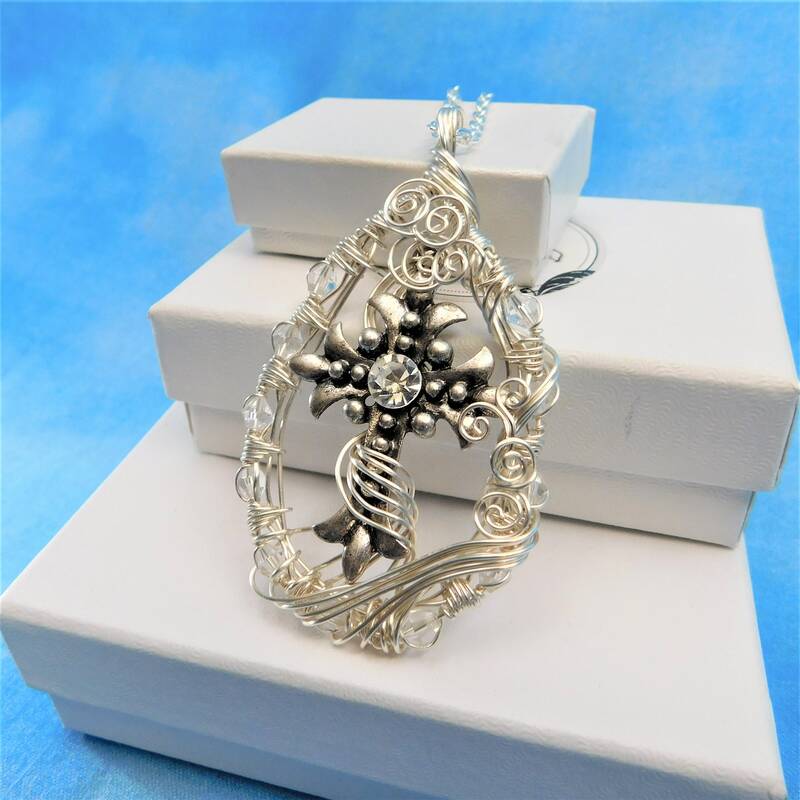 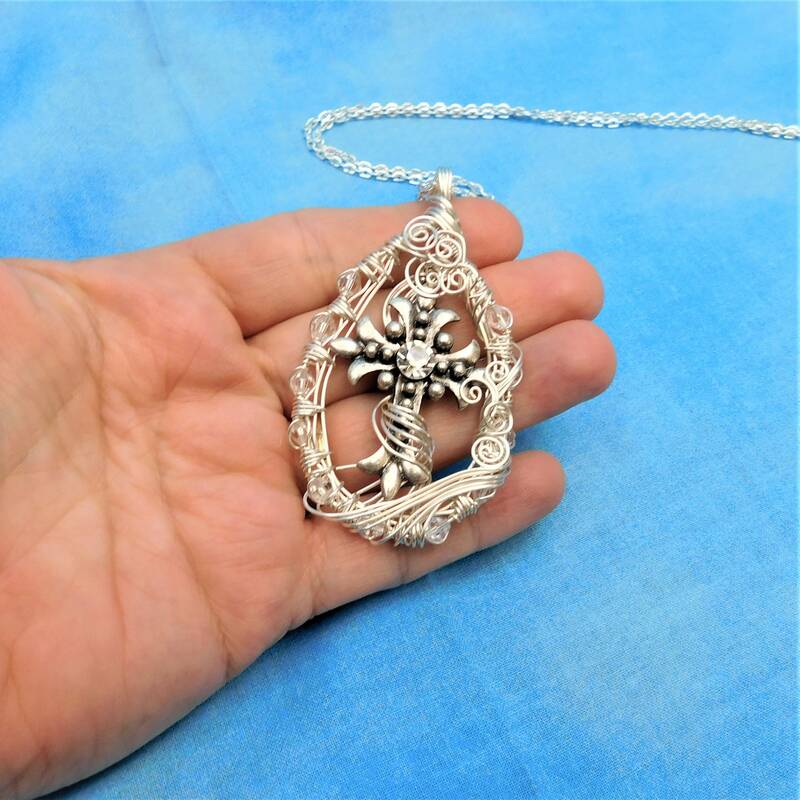 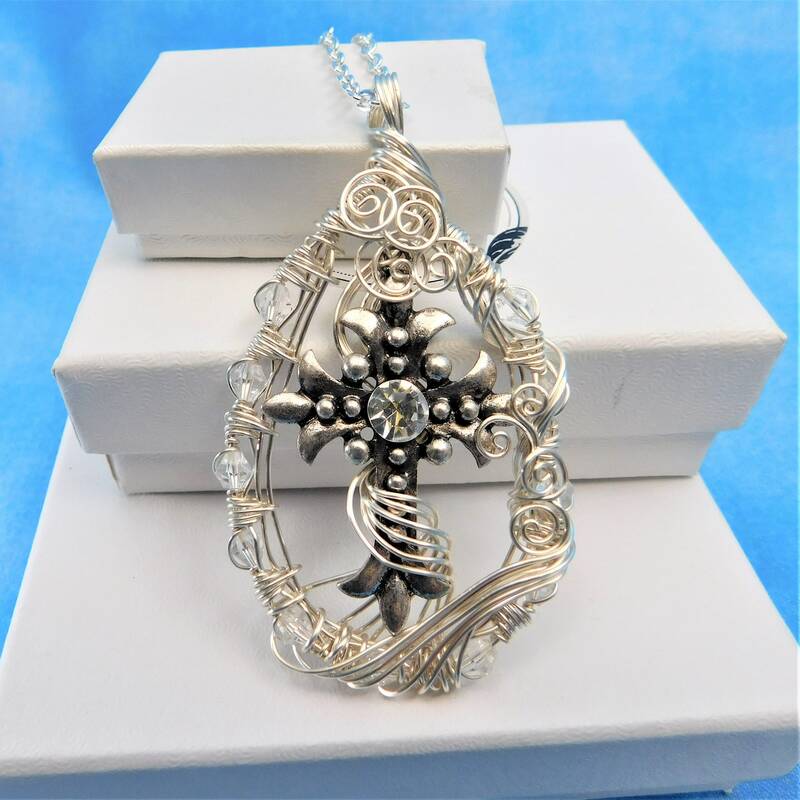 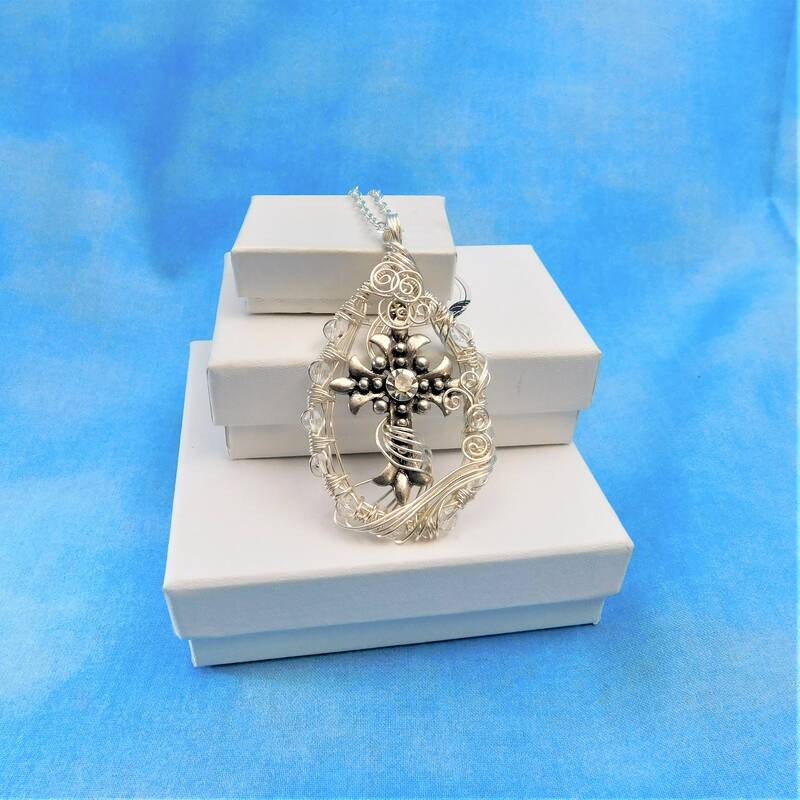 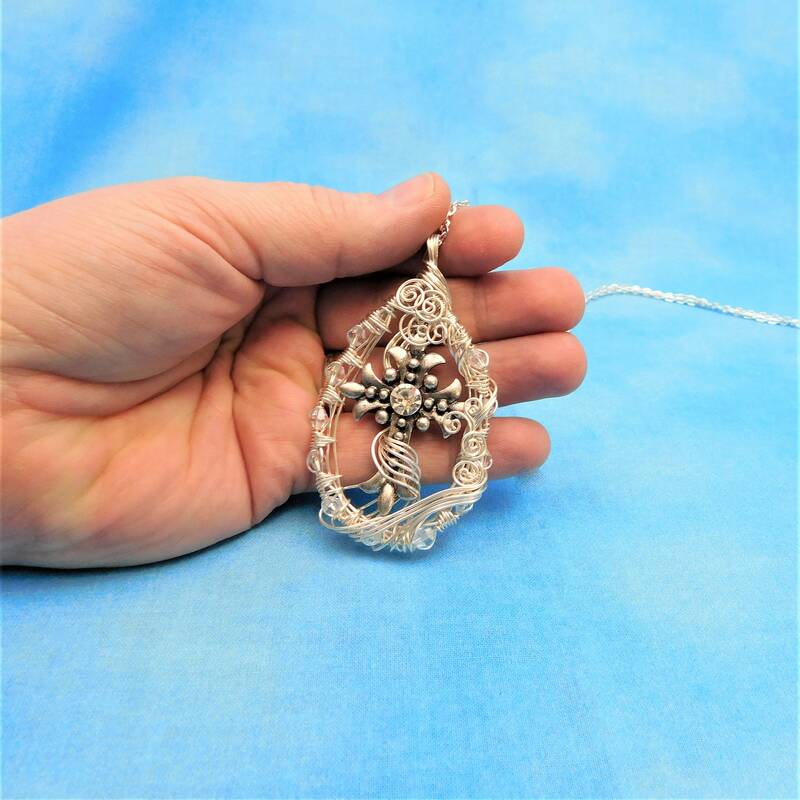 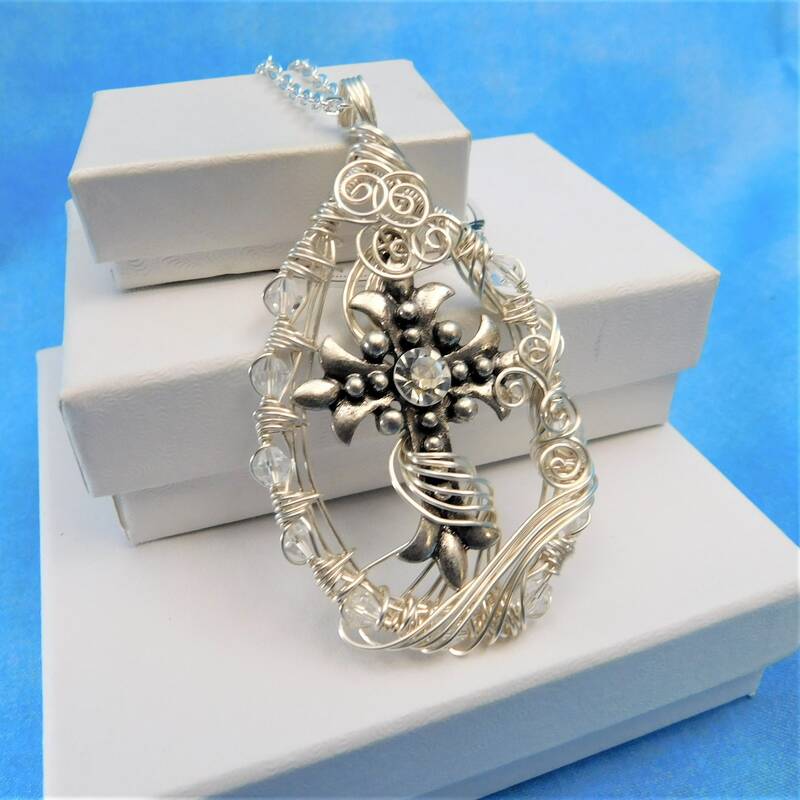 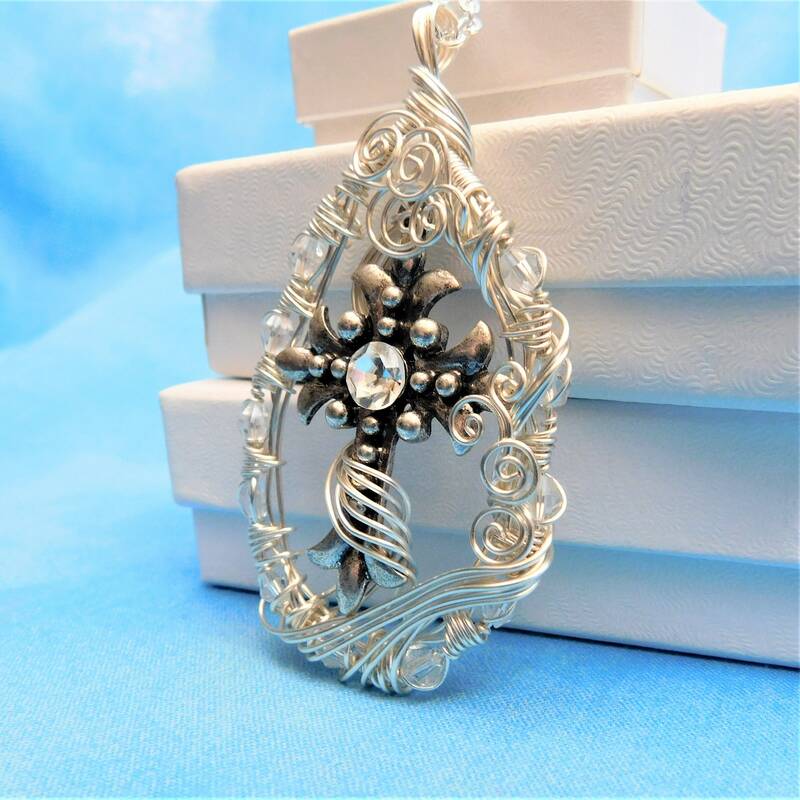 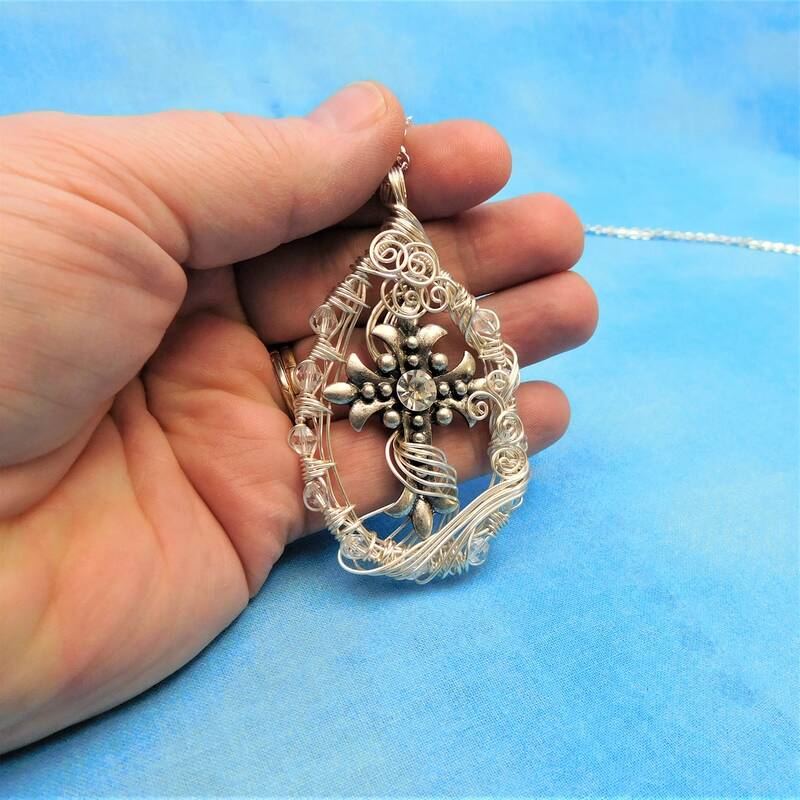 Artistically hand woven non tarnish fine silver over copper wire frames a beautifully ornate metal cross with a large rhinestone embellishment, creating a 2 1/4 inch by 1 1/2 inch pendant style necklace. 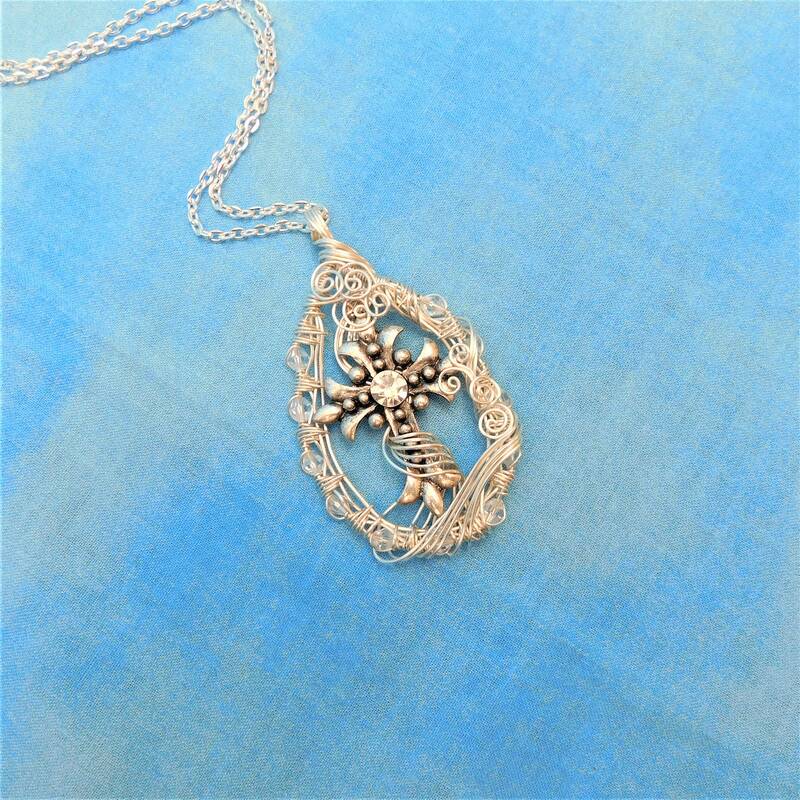 The frame has small clear crystals interwoven within the weave, creating a sparkle that surrounds the cross. 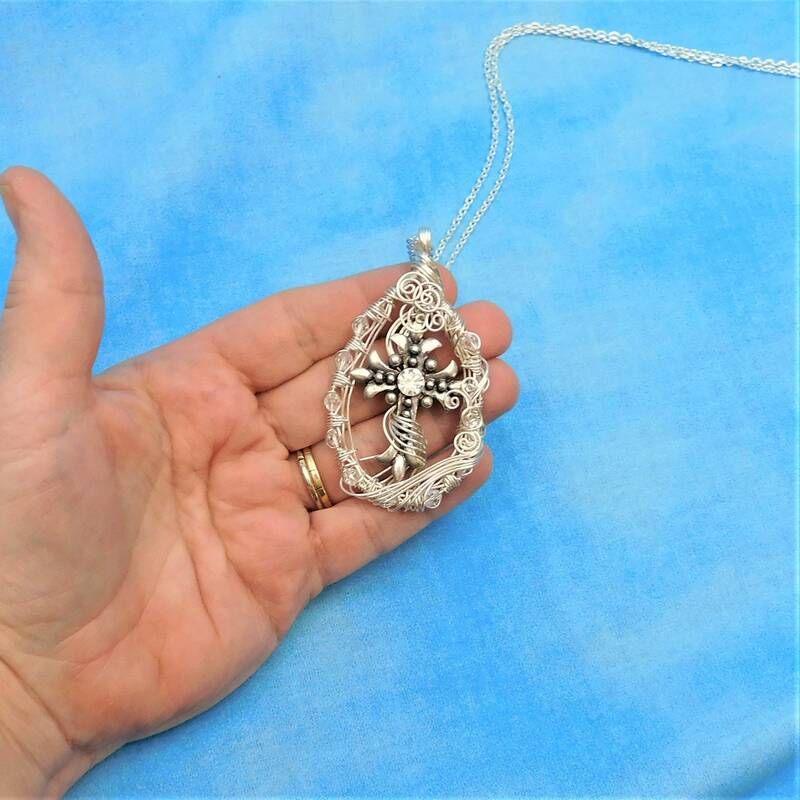 This is a large pendant that would be enjoyed by any woman of faith.